Instructions for installing a report. Instructions for installing a script (For Windows only). Email us if you don't see what you like here. Once we receive confirmation of payment we will email you the report (usually within 4 hours of placing your order). This report shows only those products which Effective stock level is less than the Re-order level by Category. You can exclude or include unposted transactions as well. This report produces profit and loss report of last five years and graph at the bottm of the report. Codes and Category can be excluded as desired. Note: if you need the report to be called "income & expenditure" instead please tell us when purchasing and we will send a modified version. 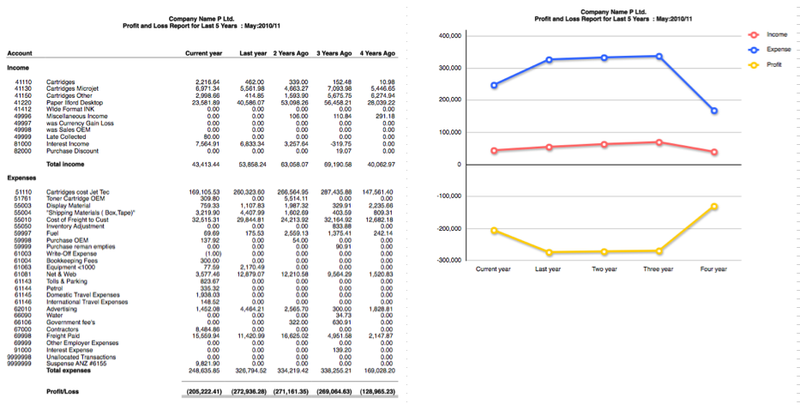 Stockholding report shows the stock on hand with average unit cost at a certain date and the total at the bottom. 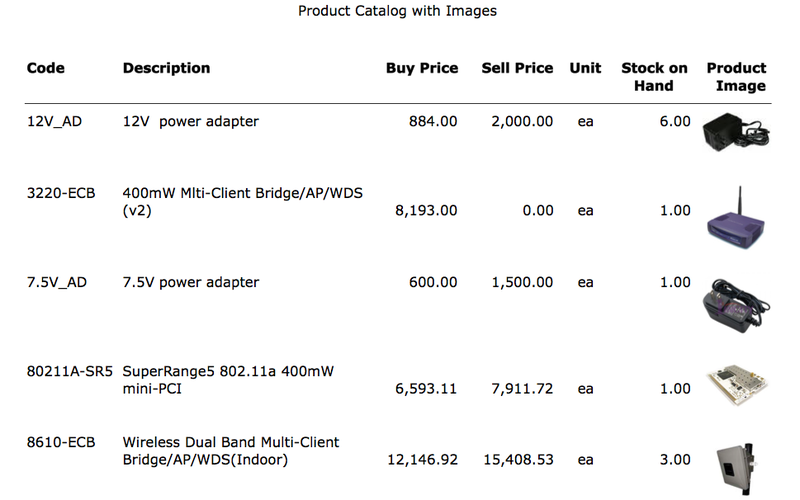 This report shows the details of all items with the product image. This report produce back order of all products for incomplete sales order subtotal by due date. This report looks at 3 periods you select and calculates usage, days cover and a recommended order quantity based on the number of days stock on hand you enter when running the report, or on Moneyworks min/reorder quantities. It will even automatically create purchase orders if you ask it nicely. It can be made to run for all items, items from only one supplier or for items with a particular code prefix. This report displays all products whose days cover (the number of days your current stock of that product will last) is greater than a user entered value. It answers the question "Show me all the products that have more than X days of stock on hand"